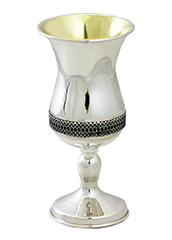 Kiddush Cups - With S..
Judaica for Jewish Celebrations, Weddings, Bar & Bat Mitzvahs, Kippot Gifts & religious articles. Shabbat Judaica, Shabos jewish products, a world of fine Shabbos products. Complete Jewish Holidays Shopping Center. Jewish Jewelry and Fine Judaica Jewels. 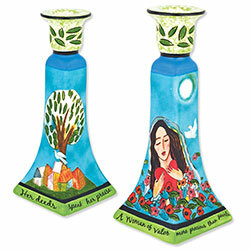 Largest Jewish gifts retailer, hundreds of Bar Bat Mitzvah and wedding gifts to choose from. Silver Judaica and jewish sterling products. Judaica Art and Jewish Art work. Jewish paintings, frames, art, pictures, antique, framed pictures. At Zion Judaica, we are dedicated to be providing you a wide selection of the finest Judaica from around the world, including exclusive products only available from us. Choose from thousands of Judaica items to help you proudly practice your faith every day. Our inventory includes Jewish gifts, exquisite Judaic art pieces and an ever growing collection of exclusive items manufactured specifically for Zion Judaica customers. Find a thoughtful, personalized gift for any Jewish occasion at Zion Judaica. Zion Judaica carries a selection of ceremonial items for Bar or Bat Mitzvahs and Jewish weddings. From Ketubbah to Benchers and not to forget Kippot, we are your source for the best in Jewish wedding items. Create a customized Birchon in Hebrew or English as a treasured keepsake of your special day. Choose from our collection of handsome tallit as well as decorative talis clips to keep them in place with style. We have a large stock of wedding bands and rings, commemorative jewelry for Bar and Bat Mitzvahs, personalized kosher party favors and original Jewish gifts for any event. Our Shabbat section includes all the most essential Shabbat items for your day of rest. Find Shabbat candlesticks and candles and a full range of challah accessories as Challah Boards and Challah Knives. You can’t make a Jewish home without a Kiddush cup, and when having lots of guest for Shabbos you may need a nice Kiddush fountain or call it a wine server. Make your Shabbos table beautiful at Zion Judaica. Zion Judaica is also your destination for the best selection of Jewish religious articles with tallit bags and Arba Kanfot, authentic shofar and shofar stands, Torah pointers and yad, mezuzah scrolls and Covers, kitels, tzedakah boxes for collecting contributions, Tefillin sets, items for Yahrzeit as Memorial candles and Lamps and all your other formal religious needs. 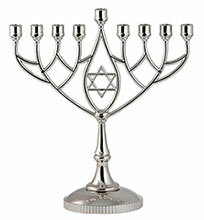 We have the biggest inventory of Hanukkah items on the Internet. Light up your nights with our selection of classic and electric Chanukah menorahs as well as luminescent window fixtures and so much more in our Hanukkah decorations department. We carry at least 50 different styles of Hanukkah Candles at every given time, always something fresh to tickle your fancy. Give the gift of tradition to many with our dreidel bulk packs or just one special person at a time with our ornate art dreidels. We also have Chanukah table settings, gifts, arts and crafts and everything else you need to make the Festival of Lights shine bright every year. Zion Judaica’s stock of Passover items is second to none. 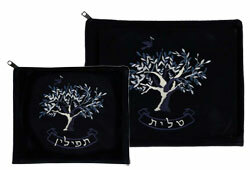 We have an extensive section of Pesach merchandise including Seder plates and liners, Matzo plates and covers, beautiful embroidered afikomen bags, Kiddush cups and Elijah and Miriam cups. Taste our oven baked hand made Round Matzah and experience the exodus in your own days. We carry a number of unique Passover gifts as well. Find a new treasure for this Passover at Zion Judaica. Our enormous stock of yarmulkes can be made to order, customized and personalized to your personal preference. We have kippot in a variety of styles and materials including satin, suede and velvet as well as the largest selection of embossed patterns on the Internet. Hand Knit Kippot will give your event a very traditional and authentic feel. At Zion Judaica, we pride ourselves on our fast turnaround and will never miss your big day. Our trained and helpful customer service team is standing by to assist you with your kippot or Yarmulke order over the phone. 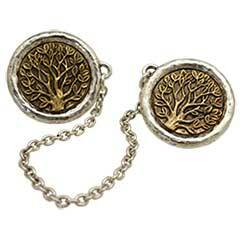 Zion Judaica has an array of stunning jewelry to help you make a statement of faith and fashion. 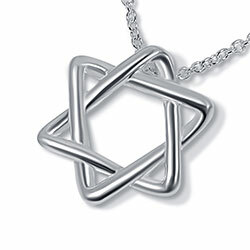 Find the perfect piece of Jewish jewelry in our grand gallery. Jewish Wedding Bands is our specialty, we work with ring makers outside the Judaica industry to manufacture the most professionally made Jewish rings. We have Stars of David in gold or silver, Hamsa pendants and Chai Charms as well as Kabbalah jewelry and red bendel to ward off the evil eye., Mezuzah necklaces that our waterproof you can wear anywhere. We manufacture many of our items and pass the savings on to you. We also are the only supplier of our imported jewelry. 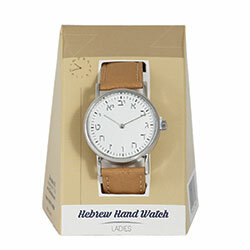 Our stock of elegant Jewish jewelry is updated daily, so check back often to see the latest pieces added to our collection. Our customer service representatives are here to assist you with your order. Speak with your representative about special deals as well as wholesale rates for bulk purchases. At Zion Judaica, dedication to our faith inspires us to bring you the finest Judaica for any occasion.